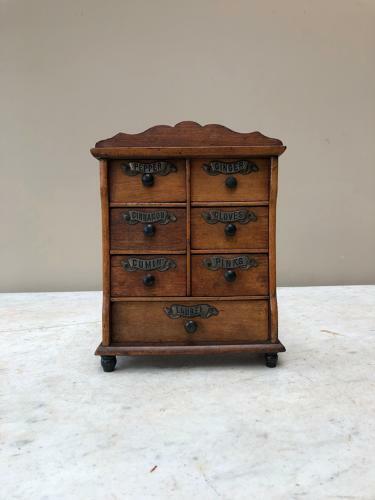 Lovely Original Condition Victorian Treen Spice Chest of Seven Drawers. Raised on little feet with shaped frieze to the top. Full set of original labels to the drawers. PEPPER, GINGER, CINNAMON, CLOVES, CUMIN, PINKS and LAUREL. Pinks is a rarer one to find.